hd00:11Happy little girl climbs the hill and sliding in the snow. Beautiful sunny day, the child is having fun playing with snow. 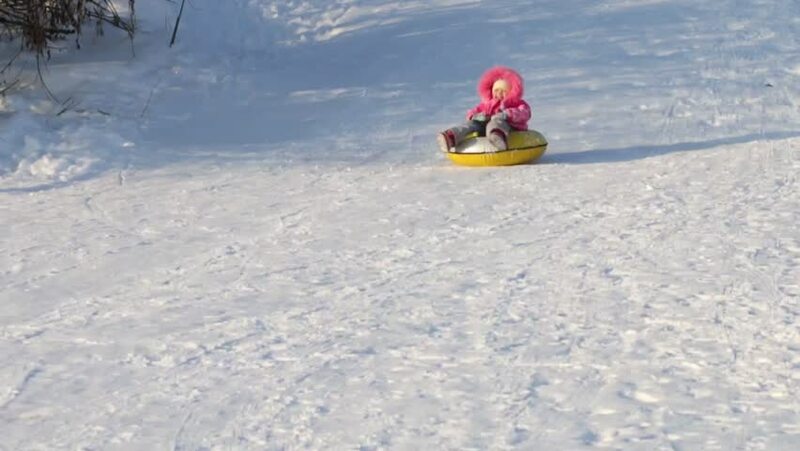 hd00:08Young girl riding on inflatable snow tube from a hill.